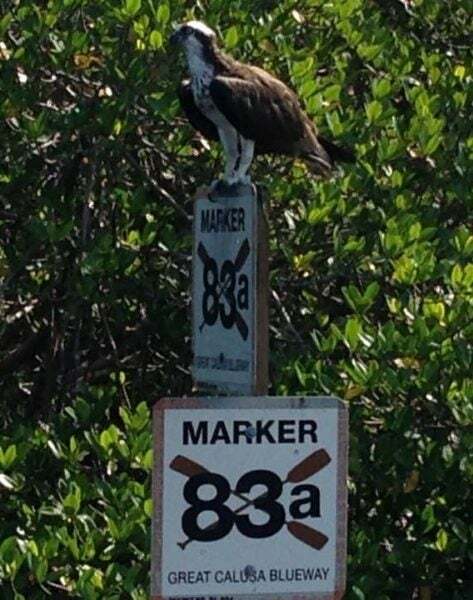 The 190-mile Great Calusa Blueway Paddling Trail is well marked. The beautiful Gulf waters and scenic back bays are a big part of what makes Fort Myers Beach such a memorable place to visit. And exploring the area at a leisurely pace on the water is the best way to see the flora and fauna. It’s truly a 360-degree experience. 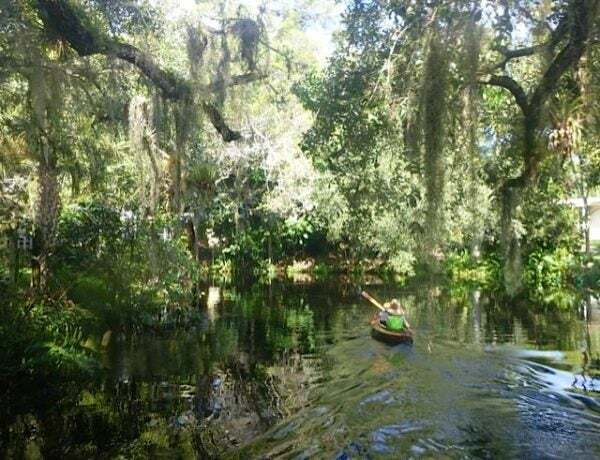 Follow some of the same paths that the Calusa Indians traversed 2,000 years ago as you follow the Great Calusa Blueway Paddling Trail. This well-marked 190-mile trail is perfect for everyone from first-time kayakers to advanced paddlers. It is divided into three sections. The first part meanders through Estero Bay, while the second segment centers on Pine Island and Matlacha Pass. The third leg takes paddlers inland to the Caloosahatchee River and its tributaries. The trail here goes by the mangrove islands and beaches behind Fort Myers Beach. You will see cultural and historical spots such as Koreshan State Historic Site and Mound Key. You can get a good view of the Holiday Light Parade from this path, or join local paddling groups for full moon trips. Bowditch Point Regional Park is a great place to launch and has amenities. This part of the trail has three branches. You can see the subtropical areas near Sanibel and Captiva, or take the mangrove path of Matlacha Pass, where critters, birds and fish can be found in the trees. Near Pine Island, you can visit the wilds of Charlotte Harbor Preserve State Park. The scenic trail is a great way to explore the Fort Myers Beach area. There are many places to launch in this section. 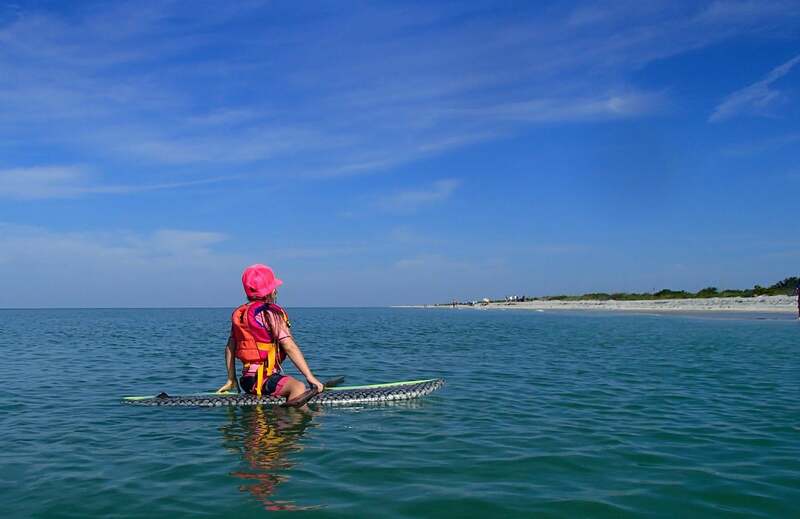 You can even put your kayak on the Cayo Costa State Park ferry, so you paddle only one way. And if you’ve never tried fishing from a kayak, Pine Island Sound is a great place to start. This was a main route for Calusas and is wide enough that boaters use it today. You will find creeks, coves, lagoons, and parks where you can get out and stretch your legs. During winter, manatees can be found at Manatee Park near the power plant along the Orange River. It’s important to note that this section does not have trail markers, but GPS coordinates are available. Order a Trail Guide from the Lee County Visitor & Convention Bureau or download maps and GPS coordinates. Find the perfect place to stay on Fort Myers Beach from among our 90 properties.